The husband of Berta Leltshuk, he was born in Brisk Delita (Brest). 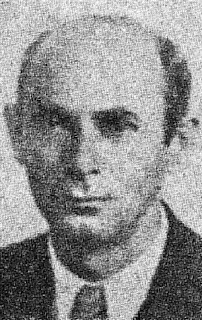 He was a Yiddish teacher in Poland and active in the left Labor Zionist party. He lived in Israel (1920-1922). He worked there in highway construction as well as in agriculture. From 1922 until his death, he lived in New York. He worked for years as a teacher in Jewish supplementary schools, initially for the Workmen’s Circle and later for the leftist “Ordn” (International Workers’ Order). He debuted in print with poetry in Y. M. Vaysenberg’s Yidishe zamlbikher (Yiddish anthologies) (Warsaw, 1919). Thereafter, he contributed to: Arbeter tsaytung (Workers’ newspaper), Der yunger dor (The young generation), and Fraye yugnt (Free youth), among others, in Warsaw; and the collection Afn veg (On the road) in Lodz; among others. In the United States, he published poetry, stories, children’s plays, one-act plays, and pedagogical essays, among other works, in: Morgn-zhurnal (Morning journal) and Shriftn (Writings), among others. From 1927 he was associated with Frayhayt (Freedom), and from 1929 with Morgn-frayhayt (Morning freedom). For a time he edited the “Kinder vinkl” (Children’s corner) section in this serial. He also wrote for: Yunyon skver (Union Square), Hamer (Hammer), Signal (Signal), and Yidishe kultur (Jewish culture) in New York; Oktyabr (October) and Shtern (Star) in Minsk; and Royte velt (Red world) in Kharkov; among others. In book form: Der retakh, a children’s opera (New York, 1925), 19 pp. ; Baloykhtene vegn (Illuminated pathways), poetry (New York, 1929), 96 pp. ; Der fargesene mentsh, roman in ferzn (The forgotten man, a novel in verse) (New York, 1936), 137 pp. ; Dzhenitor dzhimi (Janitor Jimmy), a drama (1934), 96 pp. ; Ben layder, poeme (Ben Layder, poem) (New York, 1938), 96 pp. He also authored the textbooks: Kinder, farn tsveytn lernyor (Children, for the second school year) (New York, 1930), 174 pp. ; Kinder, onfanger lernbukh farn ershtn yor (Children, beginning textbook for the first year) (New York, 1933), 160 pp. (with Dvore Tarant); Di arbeter shul, lernbukh farn ershtn yor (The workers’ school, textbook for the first school year) (New York, 1934), 159 pp. ; Mayn bukh, leyenbukh farn dritn klas (My book, textbook for the third class) (New York, 1938), 192 pp. ; Mayn bukh, leyenbukh farn tsveytn yor (My book, textbook for the second year) (New York, 1939), 160 pp. He edited Lebns farn lebn, vegn di yidishe volontirn in shpanye (Lives for life, on the Jewish volunteers in Spain) (New York, 1939), 224 pp., and he co-edited Oyfgang (Arise), Yunyon-skver, and Signal, among others. He was represented with poetry in Nakhmen Mayzil’s Amerike in yidishn vort (America in the Yiddish word) (New York, 1955), and in Soviet almanacs and readers. He died in New York. Sources: Zalmen Reyzen, Leksikon, vol. 3; M. Olgin, in Hamer (New York) (December 1930); D. Kurland and S. Rokhkind, Di haynttsaytike proletarishe yidishe dikhtung in amerike (Contemporary proletarian Jewish poetry in America) (Minsk, 1932), see index; Moyshe Shtarkman, in Morgn-zhurnal (New York) (December 30, 1934); A. Pomerants, in Proletpen (Kiev) (1935), p. 232; L. Khanukov, in Hamer (February 1938); A. A. Rontsh, Amerike in der yidisher literatur (America in Yiddish literature) (New York, 1945), see index; Nakhmen Mayzil, Tsurikblikn un perspektivn (Retrospectives and perspectives) (Tel Aviv: Perets Publ., 1962), see index; obituary notices in the Yiddish press.